Wolfsburg, in Northern Germany, is one of the country’s wealthiest cities, thanks largely to its automotive industry. It’s universally renowned for being the location of Volkswagen AG’s headquarters and the world’s biggest car plant. In 1938, the city was founded to give auto workers, who were building the Volkswagen Beetle, somewhere to stay. The first club to arise from the plant was known as BSG Volkswagen Stadt des KdF-Wagen and it played in the first division or ‘Gauliga Osthannover’ between 1943 and 1945. On 12 September 1945, in the aftermath of World War Two, a separate club was founded. VSK Wolfsburg, as it was briefly known, played in green and white – the colours still donned by the club today. The team almost ceased to exist a few months later, however, when all but one player – Josef Meyer – left to join 1. FC Wolfsburg. Meyer slowly rebuilt the team which changed its name to VfL Wolfsburg. Within a year, they were champions of the local Gifhorn Trophy, and following a friendly against the more established Schalke 04, it was decided that VfL Wolfsburg would take over from BSG as the company-sponsored team. After decades of scrapping in the lower divisions, Die Wölfe finally made it to the Bundesliga in 1997 and were crowned champions in 2008/09. The area of North Lanarkshire, not too far from Glasgow, was a fierce footballing territory during the late 19th century. Plenty of prominent amateur teams – Dalziel Rovers, Milton Rovers, Motherwell North End, Motherwell Amateurs and Hamilton Park – were slugging it out against one another not just for the pride of victory, but sometimes for the very grass they were playing on. 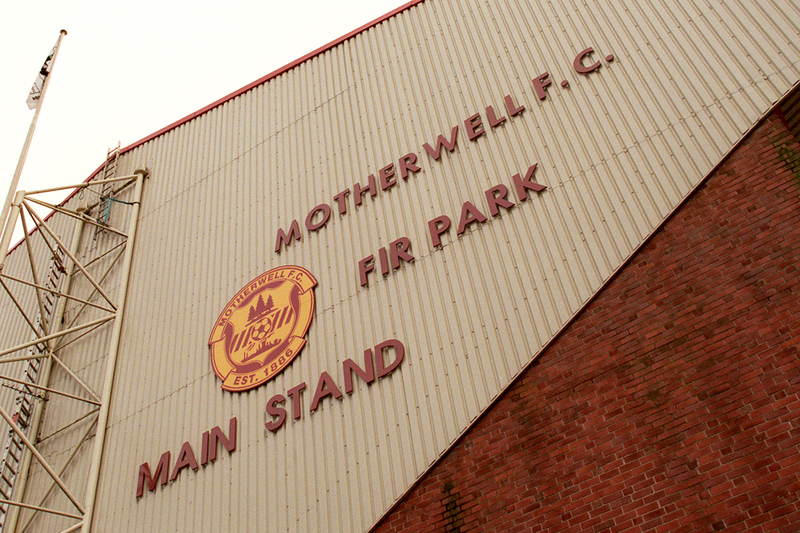 The two most respected teams were Glencairn and Alpha FC – the latter of whom would eventually surpass their bitter rivals as the most popular team in town and, more importantly, lay the foundations for Motherwell FC. Alpha were founded in 1881, four years after Glencairn, by workers of George Russell’s Alpha Steam Crane and Engineering Works – who specialised in making stationary boilers, engines, steam and hand cranes and light locomotives. The history of steelmaking in the area is why Motherwell are now known as The Steelmen. The pivotal event that led to the creation of Motherwell FC was the ‘Motherwell Charity Cup’, set up to help the poor in 1886 – pitting Glasgow Ancients – as the name suggests, who were a group of older players from Glasgow – and a select XI from Alpha and Glencairn. For months there was great anticipation to see the two strongest sides amalgamate into something of a ‘super team’. The select XI defeated their Glasgow rivals 2-1 but soon after, Alpha decided to disband and reform under a new set of rules. Just 11 days later, though, they took the initiative and met with Glencairn representatives in Baillie’s Pub in Parkneuk to form an entirely new entity named Motherwell Football Club. The new side was dominated by the workers of George Russell’s company, who had previously influenced Alpha so greatly. The Motherwell Times said this could make their team ‘second to none in the West of Scotland as a country club’. Motherwell’s debut fixture was a 3-2 win over Hamilton Academicals and they would turn professional in 1893. Their biggest successes to date are a Scottish League title in 1931/32 and Scottish Cup triumphs in 1951/52 and 1990/91. It is amazing to think that Scots have played a role in shaping the history of Spanish football considering the enormous chasm that exists between the nations’ leagues at present. But, down in Andalucia, two Scots named William Alexander Mackay and Robert Russell Ross founded Spain’s oldest club in December 1889, originally called Huelva Recreation Club. Now, of course, known as Recreativo de Huelva. The duo were doctors at the Rio Tinto company – a British-Australian multinational founded in 1873 by a consortium of investors who purchased from the Spanish government a mine complex on the Rio Tinto River. Mackay and Ross set up the club in order to provide the, largely British workforce, with physical recreation when they weren’t sifting for copper, silver, and gold in the river. For a while, the club maintained that ethos of placing social activity above competition when other clubs in the Andalusian community had also come into existence. It wasn’t until the 20th century that they slowly moved away from playing the odd friendly to focus on regional tournaments – gradually becoming a force in Spain at that time. From Spain’s oldest club in Andalusia to one of the country’s most successful club’s from the same region. Yes, Scots can claim a chunk of Sevilla’s history too. While celebrating Burns night on the 25 January 1890, a group of young – mainly Scottish – men working in the booming manufacturing and shipping industry in Seville started Club de Football de Sevilla. The key men in this operation were Glaswegians Hugh MacColl and Gilbert Reid Pollock of the Portilla White foundry, Elgin native Edward Farquharson Johnston – who co-owned the MacAndrews shipping company – and Isaias White Jr – the son of one of the Portilla White owners. MacColl captained the team while Pollock – who would score Spanish football’s first ever away goal – was responsible for bringing the foreigners and locals together to embrace the idea of a new club. Meanwhile, Johnston was named the club’s first ever president and Isaias White its secretary – the latter organising the team’s first ever match against Recreativo. It was only right for Recre and Sevilla to play, what is believed to be, the first officially recorded football match on Spanish soil. In March 1890, Recreativo accepted Sevilla’s invitation to celebrate the foundation of the Rojiblancos by playing at the Hipódromo de la Sociedad de Carreras de Caballos – game which Sevilla won 2-0. A career in football would not last for the adopted Sevillanos, though. MacColl and Pollock would go on to establish a successful engineering firm at Wreath Quay in Sunderland which traded for more than 30 years. Founded in 1963, a year after the opening of the new Vauxhall Motors Car Plant in Ellesmere Port in Cheshire, Vauxhall Motors FC haven’t quite enjoyed the ascent that the other teams in this article have experienced. Despite having some might behind them, Vauxhall have humbly remained a semi-professional outfit and something of a yo-yo club, moving up and down the tiers of Non-League football. The club’s most fruitful period was between the 1990’s and early millennium. A host of silverware was won during this period, plus a promotion to the Conference North. However, the biggest result in the club’s brief history came when – as a Northern Premier League side (tier 7 of English football) – they knocked Division Two (Championship) giants Queens Park Rangers out of the FA Cup first round at Loftus Road. 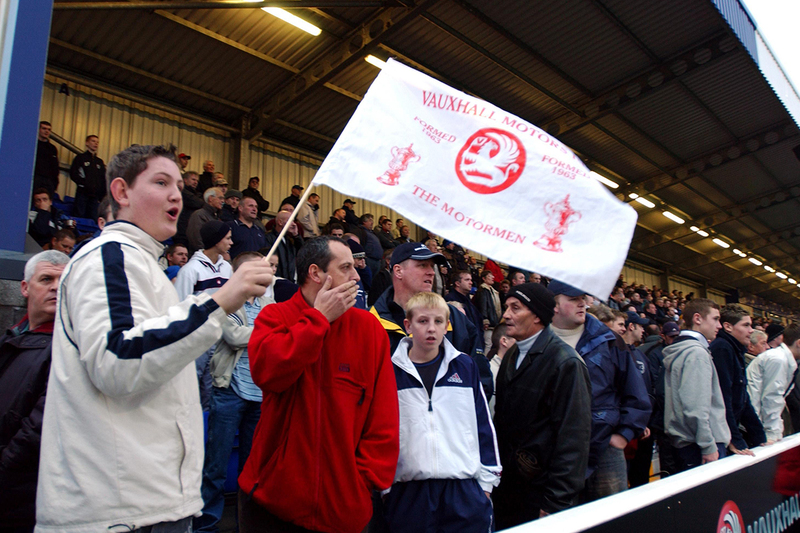 Financial trouble in 2014 forced the Motormen to resign from the Conference North – 10 seasons after they entered the league – with the club’s officials citing ‘ever-increasing costs’. They are now back in the West Cheshire League Division One (tier 11). On 1 December 1886, a club that would take English football to new heights was born. Its founders were four friends: David Danskin, Elijah Watkins, John Humble and Richard Pearce, all employees at the Royal Arsenal in Woolwich; one of the government’s main munitions factories. Football was relatively unknown in London at the time but interest started to seep down from the traditional heartlands of the North and Midlands. According to historians, Danskin was the chief organiser who sent a subscription list around the factory in order to buy a football to get things rolling. He managed to get 15 signatures, all of whom who gave six pennies each which adding together paid for the football. He was unsurprisingly given the role of captain while Watkins took on the club secretary position. 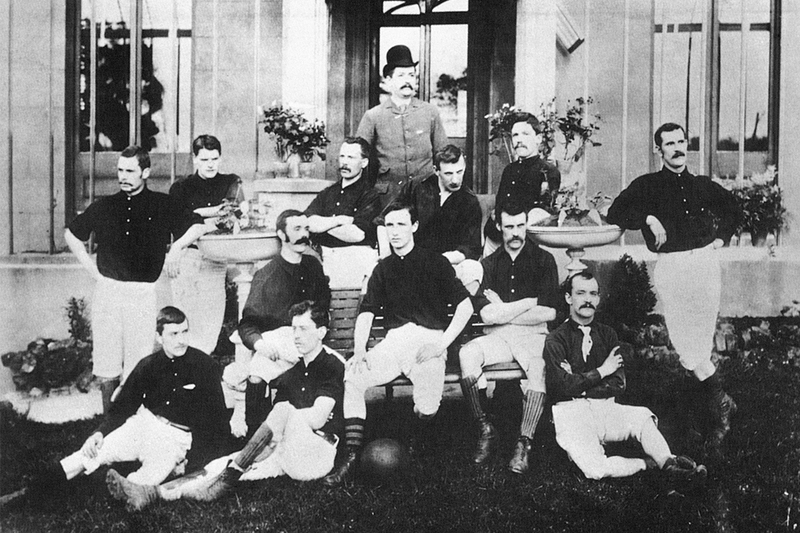 The initial name for Arsenal was Dial Square – after one of the factory workshops – and they were victorious on their debut, winning 6-0 against Eastern Wanderers on 11 December. The club would be renamed Royal Arsenal soon afterwards and it was during this era that the club embraced the now famous red shirts which were donated to them by Nottingham Forest. Further name changes would follow: Arsenal Woolwich in 1891, then simply to The Arsenal in 1913 – the same year the club moved across the Thames to Highbury. The Dial Square factory at the Royal Arsenal in Woolwich has long since been converted, aptly including a pub, but many clues still remain in the area to mark the roots of its famous former tenants. Plenty of teams in Japan’s J-League began life as work teams, including Yokohama Marinos who started as the company team of Nissan Motors in 1972 and were originally called, Nissan Motors F.C. GD da Companhia Têxtil do Punguè and Textáfrica do Chimoio are examples of African outfits – based in the former Portuguese territory of Mozambique – that were created by workers of two textile companies. While in South America, the origins of one of Uruguay’s top clubs, Penarol, can be traced back to 1891 when workers of the Central Uruguay Railway Company established a club in Montevideo with the purpose of offering employees the chance to take up pastimes.